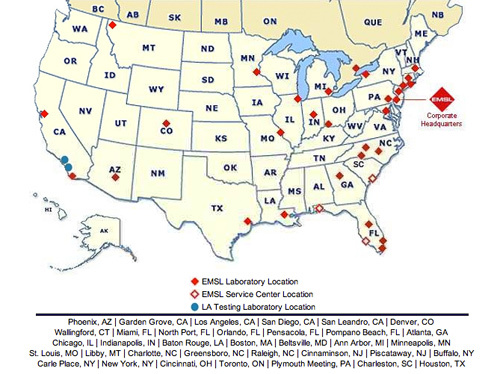 EMSL is one of the leading aquatic microbiology testing laboratories in North America. The company has a vast network of testing facilities across the United States and Canada that have been providing quality analytical services since 1981. EMSL's unmatched expertise, coupled with a focus on customer satisfaction, provides for the highest level of service. Contact EMSL today for your entire aquatic microbiology laboratory testing needs.